Canadians expect and have confidence that the privacy and confidentiality of their personal information will be protected when governments use it in the course of providing programs and services. In no field is the maintenance of this trust more critical than in the health sector. Recognizing the importance of privacy, the Federal/ Provincial/Territorial Conference of Deputy Ministers of Health tasked its Advisory Committee on Information and Emerging Technologies to develop a Pan-Canadian Health Information Privacy and Confidentiality Framework. The objective of the Framework is to respond to Canadians' privacy and confidentiality expectations and to suggest a harmonized set of core provisions for the collection, use and disclosure of personal health information in both the publicly and privately funded sectors. Consistent, or at least more consistent, privacy regimes among jurisdictions would facilitate health care renewal, including the development of electronic health record systems and primary health care reform. The Framework is a valuable tool to inform and influence any privacy legislative process within jurisdictions affecting personal health information. Since the Personal Information Protection and Electronic Documents Act (PIPEDA) applies in jurisdictions which, unlike Quebec and British Columbia, have not adopted "substantially similar" legislation, the Framework can also serve as a guide to achieving that objective. However, it is also understood that it is only a guide, not a prescription. The actual intent and wording of jurisdictional legislation will ultimately determine whether the legislation can result in an exemption from PIPEDA. Quebec did not participate in the development of the Framework, while Saskatchewan withdrew near the end of the process. The Blueprint is focused on interoperability - the capability of computer systems to seamlessly communicate with one another. It provides guidance for integrating the approximately 40,000 existing health information systems in use across the country, while remaining flexible to allow for incorporating new and better information systems and capabilities. The Blueprint, based on extensive consultations and collaboration, is a useful tool for information technology professionals in governments, health regions and hospitals who plan to implement Electronic Health Record solutions. It is also valuable for technology vendors who want to align their products and services with the vision for the interoperable Electronic Health Record. The EHRS Blueprint is a technology framework for sharing health information securely and appropriately across Canada. Based on extensive collaboration, it's a valuable tool for governments, health regions, hospitals and technology vendors who are involved in implementing Electronic Health Record solutions. The revised version of the Blueprint is now available. Incorporated into the EHRS Blueprint, the Electronic Health Record (EHR) Privacy and Security conceptual Architecture (PSA) helps ensure that future interoperable EHR systems will comply with federal / provincial / territorial, as well as cross-jurisdictional Privacy and Security (P&S) requirements. The Infoway Passport is your key to the various tools and services offered by Canada Health Infoway. With an Infoway Passport, you may subscribe to newsletters on Electronic Health Records, access Infoway's e-Health Knowledge Way - the gateway to bilingual resources for all topics related to the implementation of the Electronic Health Record - as well as access to, with proper authorization, discussion forums, toolkits, and private website sections. With an Infoway Passport, you have only one password to remember, and voilà! you're in! E-health is key to re-engineering Canada's healthcare system. Borderless. Seamless. Accessible in all reaches of our diverse country. A patient-centric healthcare system that delivers fast, accurate and assisted diagnosis and treatment. A system where health care providers are equipped to focus on prevention and evidence-based treatment. Where all points of care (homes, schools, family practitioners, community clinics and hospitals) are linked. Free from red tape and wasteful duplication. Offering individuals the tools to take control over their own health. A system where the privacy, security and confidentiality of personal health information is respected. 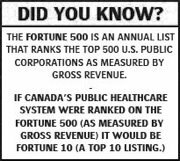 That is indeed the vision for Canada's health care system. It's based on e-health or the application of information and communications technologies (ICT) to improve the quality, accessibility and effectiveness of health care. It features a pan-Canadian electronic health record (EHR), a range of telehealth services, and trusted health information for all Canadians. It is focused on the needs of patients, practitioners, administrators, policy makers, researchers and the general public. It leverages the Internet and all supporting technologies. E-health is not about replacing in-person care or simply cutting health care costs. Rather, e-health is about enhancing the overall quality of care, providing treatment choices and supporting self-care. Moreover, It's also about increasing the overall effectiveness of the system so that we get more for our tax dollars. E-health is key to re-engineering Canada's health care system. The case for broader exchange of information about the use of information and communications technologies (ICTs) in healthcare. As explorers, inventors and iconoclasts have always known, the innovative spirit can be isolating. The same holds true for people pioneering promising new applications for information and communications technologies (ICTs) in health care, which by their very nature are uncommon, cutting-edge, even unique. And yet, nowhere is the need to link up, to share information with others, to create a common body of knowledge, more pressing than in this field. Because each initiative has the potential to enhance the well-being of Canadians or to contribute to the sustainability of the health care system, it is essential that the experiences be widely and swiftly shared. It is as complex a challenge as it is urgent. Success will demand the support of all quarters - researchers, health professionals, administrators, non-governmental organizations and governments alike. At OHIH, Health Canada's Office of Health and the Information Highway, we have no vested interest in any particular structure or mechanism. We can, however, serve as a catalyst for action, encouraging all parties to participate in a shared solution. To underscore our concern, we have recently launched an important new Web-based resource. Known as the ICTs in Health Initiatives Database, it is a searchable online tool that enables health providers, researchers, administrators, policy-makers, analysts and other interested people to post and find information about initiatives involving ICTs in the health services field. (See sidebar on page 2). This database is one of many resources being shared through OHIH's ICTs in Health Infoway web site (www.hc-sc.gc.ca/hcs-sss/ehealth-esante/index_e.html). The web site is not a signal that the Government of Canada intends to lead a comprehensive information-sharing exercise among developers and users of ICTs in health. It is merely a spark for the process, highlighting one way of connecting people for the benefit of all Canadians. OHIH and its partners have launched a searchable online tool to allow researchers, health professionals, administrators, policy makers and others to post or find information about projects using Information and Communications Technologies (ICTs) in health care. The new ICTs in Health Initiatives Database is designed to provide reliable, quality-controlled, timely and relevant information profiles on Canadian initiatives involving the use of ICTs in health - especially projects involving electronic health records and telehealth technologies. The database is set up to enable contributors to describe their initiatives, including objectives, the organizations involved, target populations, the technologies used, funding, points of service, links to related Web sites, and contact information. A unique feature of this database is that contributors may post background documents relevant to their projects, such as evaluation reports and multimedia clips. These can be downloaded by visitors to the site. The database is, first and foremost, a tool for sharing information and experiences about ICT applications in the delivery of health services. It serves as a vital data source for researchers, and helps organizations and individuals find suitable health partners for collaborative activities. It also allows administrators and policy-makers to monitor trends and investments in ICTs in health, as a support to solid, evidence-based decision making. While some portions of the database are accessible only to registered users, others are open to all visitors, including consumers. The initial contributors to the database included the Government of Canada; provincial, territorial, regional and municipal governments; primary health care delivery organizations; acute and long-term care facilities; universities and non-governmental organizations. Without question, the challenge is vast. First, with so many people trying to apply ICTs in so many novel ways, we need a comprehensive and reliable mechanism for others to find out about the work. The objective should be to harness every potential resource in the search for new uses of ICTs in health and health care. The health care system has neither the time nor the money to waste on duplicated effort or demonstrated failures. Second, we need to be able to convert all our sources of experimental learning into knowledge. We need to be able to promote collaborations that can take ideas beyond the pilot stage to where they can have a positive and lasting real-world impact. And finally, we need to be able to share our acquired knowledge. It is a fundamental principle of Canada's health care system that people are entitled to benefit equitably from initiatives that promise improved care, no matter where they happen to live. Thanks to the spadework already performed by other sectors, we can use their experience to illuminate our thinking on translating information into knowledge and then aggressively sharing this knowledge. We can surely agree that it makes sense to find better ways to share information about ICTs that improve either the functioning or the outcomes of the health care system. Suppose, for instance, that a community health service agency in Quebec City has developed a simple, yet effective, technological application that gives travelling home care workers timely information about the next patient, as well as some guidance on the best course of care. Over time, the agency accumulates extensive experience related to developing or acquiring the technology, implementing it and training staff, managing information and privacy issues, and evaluating the impact of the initiative on patient health, provider satisfaction and agency budgets. Clearly, all this information would be of tremendous benefit to home care services right across Canada - all of them questing for better, more cost-effective ways to handle growing caseloads. This scenario is one of many occurring in Canada right now. But for all the excellent ways we are finding to improve both the health outcomes of Canadians and the efficiency of the health care sector, we have yet to develop a systematic way of sharing the know-how gleaned through our laudable, though disconnected, efforts. Several questions follow. Why share knowledge? If it makes sense to share, what exactly should be shared, how do we do it, and who is going to make it happen? We share knowledge for several compelling reasons that, in sum, could be said to benefit patients, health care providers, institutions, government and non-governmental funding sources, and society at large. Simply put, a lot of information related to the use of ICTs in health is a public good that is best converted to knowledge within the public domain. This truth holds from its collection clear through to its use. For instance, in our publicly funded system, virtually all exploration of potential application of ICTs in health is sponsored by publicly funded institutions such as hospitals and universities, or with government. Because the information typically concerns the public as patients or taxpayers, the resulting knowledge should be seen as being developed in the public interest, and therefore shared in the public domain. Moreover, if the knowledge acquired through such projects is applied for the good of one segment of the public - home care clients in Quebec City, for instance - then it is only right that the knowledge be made as widely available as possible for the benefit of home care clients everywhere. Knowledge in the health care system becomes ever more powerful as it is shared. Apart from the "public good" argument, there's also a business case to be made. Sharing knowledge means distributing risk and earning a better return on the investment dollar. Let's say an institution wants to apply a new technology to its internal health care processes. The innovation can be costly to develop, demonstrate, refine, implement and sustain over time. Its introduction may be complicated given the conservative culture that exists in the healthcare system which leads to slow adoption rates and, in some cases, outright resistance to change. By sharing information about experiences and results, however, several groups with similar objectives can tackle the challenge together. This affords them a greater chance of coming up with solutions that are appropriate to the needs and the marketplace, while avoiding the duplication of costly and demoralizing errors. The collaborative process could also be expected to proceed faster than any organization could manage alone, and at less cost to each partner. Moreover, different minds united in purpose can often come up with creative solutions that neither would have envisioned alone. If the "why" of knowledge management is relatively straightforward, the "what","how" and "who" are considerably tougher. What information do we really need? How do we assess quality and ensure its consistency? How do we know where the gaps are, and what should fill them? How do you persuade people to discuss the glitches and failures they have experienced, as well as the things that worked? What format should information be in to make it most useful for others? What technological functions would make it most accessible? Indeed, in a field as human and personal as health care, what are the roles and limitations of technology?Although we have little history to draw upon when contemplating these questions, Health Canada's experience with HISP, the Health Infostructure Support Program, offered some useful pointers. A report, soon to be available on the OHIH website, evaluated this program and has taught us what worked and what did not, and helped us start to understand the steps necessary to translate information into knowledge that can be shared. As we reflect on what information and knowledge we need to generate, manage and share, the question of how we ought to go about it necessarily arises. Information and communications technologies of all sorts are available to connect people these days. But in the health sector, are they being used as they should? While many people have vigorously embraced new networking technologies, others are only reluctant converts. Strapped for time or distrustful of technology, some health professionals are simply overwhelmed by the new digital world. But since the clocks cannot be turned back, it makes sense to build trust and ease the transition, especially for the skeptics. Typically, there is comfort to be drawn from interactions with peers. The proliferation of informal networks over the Internet and at professional conferences and workshops attests to a hearty appetite for interpersonal communication - a prerequisite for sharing and developing knowledge. * organizing and supporting workshops, stakeholder conferences and electronic discussions. Initiatives like Health Canada's Canada Heath Infostructure Partnerships Program (CHIPP) also foster partnerships that begin as short-term arrangements, but often evolve into lasting professional relationships. More formal structures, such as the Networks of Centres of Excellence and the Canadian Institutes for Health Research build more permanent ties. Even so, there's precious little yet in the way of organized communications mechanisms linking groups and individuals who would not normally be engaged in collaborative ventures. There should be, though, and they should be so comprehensive as to cut across disciplines and sub-sectors of the health care field. But how do you make that kind of communication work? What's in it for the different players? The truth is that the time crunch in the health care sector is real, severe and not about to improve. Even if they were inclined to share their knowledge, health professionals, researchers and administrators have enough to preoccupy them without worrying what others are doing. There are few levers, although money is invariably one. Support grants are virtually always tied to a requirement to publish results. But is that enough? Is the information available quickly enough - even if it is posted on the Internet? Is it accessed and used by enough people? The right people? How do we know? Where funding cannot compel communication, only incentives and a shared concern about the health of Canadians will work. Suppose, for example, that you know of an initiative elsewhere that could benefit your own work. Clearly, it is worth your while to contact the group to inquire about their project. But what if you do not know about their work, because they have yet to publish in the traditional literature? Could there be a mechanism to let you know, in a timely way, what is out there on the cutting edge, to connect your problem to a potential solution? Conversely, let's say you possess the cutting-edge knowledge: you have developed a technological initiative that is serving you and your patient population well. What would motivate you to reach out and share the information with others? It could be professional courtesy, pride in your accomplishments, or all-round generosity of spirit and good will. You might be the kind of person happy to show off an exciting innovation, or flattered to be solicited for your expertise. It may be possible, on an intellectual level, to see the pooling of minds as inherently right. Rationally, it may also be perceived as contributing to system-wide efficiencies and economies of scale. But does that translate into individual altruistic action? As the issues around the "how" of sharing information about the use of ICTs in health care begin to crystallize, we must also concern ourselves with the "who." Who will build the information-management capability we need? Who will pull information together, massage it into knowledge of a useable form, and actively bring that to the attention of those who might use it? Who can build a culture of sharing, with all the trimmings such as trust, leadership and accountability? As the federal government in a federated health care system, we try to be helpful in this regard. After all, helping Canadians gain access to better health care and quality information are key priorities. In our funding projects, we apply the same principles that exist in any public research institution: Information and knowledge must be shared through publication and accessible so that others can review, substantiate, refute, use or apply it. Admittedly, though, this is a small piece of a huge health-care pie, with most of the work we support typically at the research, pilot or demonstration stage. Moreover, while the emphasis is on innovation and the development of new applications for ICTs in health, it is not necessarily on the mechanics of information and knowledge sharing. Some of that is occurring on an institutional level, or within stakeholder groups such as Canada's Health Informatics Association, the Canadian Society for Telehealth and the major professional associations. For the most part, however, the issues are not being addressed on a system-wide basis. While governments regulate many things in health care, they cannot (nor should they) compel information sharing. The federal government could, however, play the role of catalyst to spark progress in this endeavour. Our new ICTs in Health Initiatives Database is one step in that direction. But, as the process gets underway, who would guide it along? Should there be a central co-coordinating agency? Does it need to be within the purview of the public sector, or could private enterprise perform the function? If so, how are issues like privacy and the public interest safeguarded? To be sure, we do not know the answers; we may not even have identified all the questions yet. We do know, however, that it is time to engage, and everybody has to get involved. The challenge is vast and one model won't meet all the needs. Just as car designers test their prototypes on drivers of all shapes, sizes and preferences, different groups bring different perspectives and competencies to the table. And, no matter which solutions we choose, the outcome will surely touch all Canadians. All of us who care about better health and a more efficient health care system have a powerful vested interest in getting it right. In the increasingly wired world of healthcare, there are hundreds of technologies designed to improve patient care and ease the workload of healthcare providers. The proliferation of information and communications technologies over the past five years has been overwhelming. Yet the rate of adoption of some of these technologies has been slow. The introduction of new technologies has always represented an uneasy shift. Welcomed by some, it has been rejected by others who see it as disrupting the accustomed way of doing things and creating new demands. I am a firm believer that the past can offer many insights to those who are trying to introduce new ideas or concepts. Therefore, to better understand the factors influencing the uptake of new technologies it is helpful to look back in time. Looking at the printing press, the telegraph, the radio, the automobile, the telephone, the fax machine, the cell phone, the Internet, and the World Wide Web, we asked some key questions. What were the conditions that permitted the adoption of technology? What was the pace at which technologies were dispersed, and why? What role did the government play? What is a disruptive technology? * Products based on them are typically cheaper, simpler, smaller and frequently more convenient to use -often representing a new product architecture. * They often bring a new and different value proposition. Applying an analytical framework to the adoption of nine significant technologies from our past allows us to observe key elements and uncover lessons from history that may hold true for the adoption of healthcare technology today. "Several variables seem essential to the successful uptake of technology: providing an infrastructure, finding a function, establishing the right price point, and becoming a necessity." There's no question that these "disruptive" technologies have changed the way we work. But from the printing press to the telephone, the telegraph to the World Wide Web, this analysis identifies the common attributes and conditions which determine how fast a technology is adopted, how quickly it is diffused, and how well it is received. To begin, is the technology perceived as being better than the idea that preceded it, thereby having a relative advantage? Is it compatible with existing values, needs, and past experiences? What about complexity -- how difficult is it to learn, understand and use? Can the idea be piloted, on a limited basis, to demonstrate its trialability? And finally, can the results be observed by those who may use it or be affected? These are the attributes that determine how successful an innovation will be. But what about the conditions which can nudge a technology along and get the ball rolling? Several variables seem essential to the successful uptake of technology: providing an infrastructure, finding a function, establishing the right price point, and becoming a necessity. In a world where we have become impatient with delays and accustomed to rapid change, the slow embrace of new technologies can be frustrating, but we shouldn't be surprised, or discouraged. It has always been that way, despite the pervasive belief that change is instantaneous. Take the telephone. We are so dependent on this technology it is difficult to imagine that when it was first introduced in 1877, people had to be convinced that it was useful. Despite its simple design and seemingly obvious value, it took 75 years for the telephone to reach 50 million users, and it wasn't until the 1960s that users saw a residential phone as a necessity. Even the printing press, with its obvious advantage over laborious copying by hand, was not an instant success. Although the technology was seized on quickly by the Protestant Church, which encouraged literacy, it took centuries for the technology to be used for a mass publication newspaper -- the New York Sun took to the streets on September 3, 1833, more than 300 years after Gutenberg invented the first printing press. The printing press has important parallels to today's revolution in information technologies. Like the Internet, it suddenly made information available to many more people, and the increase in the spread of information led to confusion and mis-information. Different scientific and religious theories appeared simultaneously -- which one was right? There was no peer review necessary to publish, no infrastructure in place to regulate the publishing industry. The healthcare community and patients themselves face similar issues as medical information proliferates on the Net. Whose research is correct? Which is credible? How can people sort out the truth from the quackery? Many patients believe it would help if they received medical information online from their own doctors, someone they could trust. Although it's difficult to define exactly when a technology is fully "diffused", it is interesting to compare how quickly technologies were adopted. The printing press: 400 years following its invention it was finally used to reach a wide public audience with the publication of the first mass newspaper in 1833. The diffusion of the telegraph was somewhat faster than the printing press. Samuel Morse presented his prototype of the electric telegraph to the US Congress in 1838, and by 1873 Western Union had carried more than twelve million messages. One of the reasons for the telegraph's rapid success was the creation of the infrastructure which supported it -- reliable connections, cheap and predictable rates, and a shared language. Common standards and a high degree of inter-operability made the telegraph a relatively easy sell. "...any new technology must eventually be seen as a necessity. It must become part of the everyday way of doing things,...It's hard to remember life before 'What's your e-mail address?' "
But what about more recent technologies? It took five decades for the telephone to reach 10 per cent of U. S. households, but it took only five years for the Web to do the same. In fact, the Internet has reached 330 million users in only 30 years, arguably the fastest diffusion rate in history. This is partly because the Internet builds on an existing communications infrastructure, and its speed and efficiency are easily observed. In the case of the Internet and the Web, users can develop their own functions, and generate their own content. These decentralized conditions allowed technology to spread quickly. So what can we learn from these experiences, and how can we apply this knowledge to the health sector? One of the most important lessons is the importance of providing the critical underpinnings that will support a technology as it attempts to break new ground. This infrastructure varies, from the entire political and social structure, as with the printing press, to the regulatory environment in the case of the telegraph, the telephone and the radio. For technologies to succeed, they must also find their function, sometimes creating a need where none existed before. With technologies that basically did the same thing, only faster, like the printing press or the fax machine, function wasn't really an issue. But the social function of the residential telephone was largely ignored by industry for the first half of its history. Cheaper, faster . . . better? For many sectors, such as manufacturing and retail, the main contribution of information technologies has been to provide cheaper, faster handling of information. In other words, nothing particularly new, just a better way of doing it. A good example is the banking industry. For the cost of opening a branch to serve a single neighbourhood, a bank can set up a web site accessible to more than 15 million households. Cheaper, faster, an obvious function, and a ready-made infrastructure. But most sectors share similar problems. Introducing a new technology can be a complex process, and it takes both time and effort to change the way people work. There are also issues of security and privacy -- a key issue in the transmission of sensitive information. Ironically, many sectors have found out that word -of -mouth is one of the most effective ways of persuading people to try out a new technology. Opinion leaders who act as champions play a key role in getting it adopted and creating a demand. By applying the analytical framework and deriving the lessons of history and the experiences of other sectors, we can shed light on how we expect the medical community to adopt information technologies, and on the role the government can play in making it work. The government has frequently regulated a new technology, or created the rules that allow commerce to take place fairly. But the government has also played a larger role by developing appropriate policies for technology's use and distribution, by providing strategic funding, and by showcasing their own use of technology. The government can also act as a catalyst. Apparently even the most skeptical critics of the telegraph were convinced of its advantages when the successful nominees at a United States' Whig National Convention, transmitted by telegraph, were announced to the crowd 64 minutes before the list arrived by train. It was the U. S. Congress that paid for the first of Morse's telegraph lines. There's no question that the computerization of health data and the emergence of information technologies has created unprecedented opportunities for providing better health care services. But, like any other sector, and as with any new technology, the medical community has to be convinced the new way is better than the old. Remember relative advantage? The Brookings Task Force on the Internet concluded that the US healthcare system could significantly reduce their costs by using the Internet to handle information faster and cheaper. Nothing new, but better. Other studies of information technologies applied to healthcare have shown that the benefits could include improved management of patient-care delivery, improved access to information, reduced medical and medication errors, more timely care, and a better quality of life for chronically-ill patients. Information technologies applied to healthcare also stand a better chance at succeeding if they are compatible with the medical culture. For example, more than 50 per cent of US physicians use wireless or handheld devices -- a technology that fits comfortably into the working environment of hospitals. Government-funded sector councils can be pro-active in this area, making sure that the design, development and marketing of healthcare technologies takes the healthcare provider's needs into account. "The medical community is not averse to new technology, but they need to see and understand how it fits into the way they work, without disrupting the care of patients." For many in the health care system, the time crunch is a genuine barrier to the adoption of new technologies. So, the less complex the technology, the more likely it is to succeed. For health workers already struggling with the demands of paperwork, one more thing to learn can seem like too much. Of course sometimes a technology is perceived to be complex, when it really isn't, and here is where extensive trials and demonstrations can be useful. Tips and lessons on how to use a technology can be spread throughout a healthcare organization by an on-site "e-vangelist", someone within the organization who can also offer useful feedback to government. The communication of the lessons learned from trial runs is a vital step in getting technology accepted. The government can use e-services directly to communicate with the health care sector, using technologies such as online conferencing. Outsourcing can also provide an excellent trial run for healthcare technologies -- for example, one online platform service where patients log on and pay by credit card for prescription renewals, non-urgent medical advice, sick notes etc, has already been picked up by hundreds of physicians. It's one thing to try a technology out, another to have it observed. Successful examples of information technologies being used in health care need to be promoted at all conferences, symposia and workshops, as well as models of the government's own success in using them. Marketing strategies can also make use of the mainstream and specialized press to get the message out, increasing public profile. Healthcare opinion leaders and champions must also speak up, widening the net of influence and acceptance. So far, the lessons on how certain attributes contribute to the adoption of technology apply as much to telemedicine as they did to the telephone or the automobile. But what about the essential conditions: providing the infrastructure, finding a function, finding the right price and becoming a necessity? A significant legal and policy issue for the healthcare sector is privacy, and this is one of the most critical areas for government policy. Medical data is a sensitive area. Canadians will need to be reassured that the information technology used here is secure and reliable, before a corresponding infrastructure can be provided. In addition, as with the telegraph, there also needs to be a common language, and standard definitions for data. The significance of this kind of infrastructure was borne out by the experience of the big three automakers in the US, who created the Automotive Industry Action Group to standardize processes. This group also started the Manufacturing Assembly Pilot Program, which ensured that everyone involved spoke the same language. With earlier technologies, function was king. But with healthcare technologies today, who determines the function? The patient. According to the Toronto Star, most Canadians want online communications with their care providers, while most providers do not. For physicians and other health workers, it's probably a question of time. For patients, it's a matter of convenience. But it's this interaction that will likely determine the ultimate function of e-mail in the healthcare setting. The right price point is also a key condition for technology's success, and this applies as much today as it did a hundred years ago. Faced with tight budgets and a wide variety of competing innovations, the healthcare sector will certainly take price into consideration when considering the adoption of technology. And finally, new technology must become a necessity. In the case of the Internet, the patient is determining what healthcare services will become essential. Some 84 per cent of Canadians who reported using the Internet in 2001 said they would like online access to their doctor to ask general health or education questions. In another survey, 62 per cent said they would also like to go online to make appointments or renew prescriptions. The medical community is not averse to new technology, but they need to see and understand how it fits into the way they work, without disrupting the care of patients. Take the automobile, a technology that was quickly embraced by doctors who saw it as a better, faster way to reach the patients who needed them. But if a laptop takes four minutes to boot up, and a doctor has only seven minutes with his first patient, the old hand-scribbled medical chart is going to seem like a more efficient way to enter patient information. Perhaps the key lies in integrating new technologies with established practices? For example, wired personal digital assistants can help doctors retrieve medical records quickly while they're consulting with their patients, and avoid mistakes in filling prescriptions that may be hard to read. There are hundreds of examples, and the healthcare community needs to be selective in deciding which technologies work, and which don't. Their value must be clear, and where the function is patient care, there is a natural low tolerance for risk. To sum up, if there is one vital lesson we have learned from the experiences of the past, it is this: change takes time. Solutions need to incubate, but we have discovered that as technologies are introduced, there are ways to influence the rate at which they are adopted. Governments, health care workers, patients themselves all have an active role to play in this process, especially in our increasingly inter-connected world. The rewards of this involvement will be an improved healthcare system, and better health for Canadians. Office of Health and the Information Highway, Health Canada. Everybody talks about e-health these days, but few people have come up with a clear definition of this comparatively new term. Barely in use before 1999, this term now seems to serve as a general "buzzword" used to characterize not only "Internet medicine", but also virtually everything related to computers and medicine. The term was apparently first used by industry leaders and marketing people rather than academics. They created and used this term in line with other "e-words" such as e-commerce, e-business, e-solutions, and so on, in an attempt to convey the promises, principles, excitement (and hype) around e-commerce (electronic commerce) to the health arena, and to give an account of the new possibilities the Internet is opening up to the area of health care. Intel, for example, referred to e-health as "a concerted effort undertaken by leaders in health care and hi-tech industries to fully harness the benefits available through convergence of the Internet and health care." e-health is an emerging field in the intersection of medical informatics, public health and business, referring to health services and information delivered or enhanced through the Internet and related technologies. In a broader sense, the term characterizes not only a technical development, but also a state-of-mind, a way of thinking, an attitude, and a commitment for networked, global thinking, to improve health care locally, regionally, and worldwide by using information and communication technology. This definition hopefully is broad enough to apply to a dynamic environment such as the Internet and at the same time acknowledges that e-health encompasses more than just "Internet and Medicine". As such, the "e" in e-health does not only stand for "electronic," but implies a number of other "e's," which together perhaps best characterize what e-health is all about (or what it should be). 1. Efficient - one of the promises of e-health is to increase efficiency in health care, thereby decreasing costs. One possible way of decreasing costs would be by avoiding duplicative or unnecessary diagnostic or therapeutic interventions, through enhanced communication possibilities between health care establishments, and through patient involvement. 2. Enhancing - quality of care - increasing efficiency involves not only reducing costs, but at the same time improving quality. E-health may enhance the quality of health care for example by allowing comparisons between different providers, involving consumers as additional power for quality assurance, and directing patient streams to the best quality providers. 3. Evidence based - e-health interventions should be evidence-based in a sense that their effectiveness and efficiency should not be assumed but proven by rigorous scientific evaluation. Much work still has to be done in this area. 4. Empowering - consumers and patients - by making the knowledge bases of medicine and personal electronic records accessible to consumers over the Internet, e-health opens new avenues for patient-centered medicine, and enables evidence-based patient choice. 5. Encouraging - of a new relationship between the patient and health professional, towards a true partnership, where decisions are made in a shared manner. 7. Enabling - information exchange and communication in a standardized way between health care establishments. 8. Extending - the scope of health care beyond its conventional boundaries. This is meant in both a geographical sense as well as in a conceptual sense. e-health enables consumers to easily obtain health services online from global providers. These services can range from simple advice to more complex interventions or products such a pharmaceuticals. 9. Ethical - e-health involves new forms of patient-physician interaction and poses new challenges and threats to ethical issues such as online professional practice, informed consent, privacy and equity issues. 10. Equitable - to make health care more equitable is one of the promises of e-health, but at the same time there is a considerable threat that e-health may deepen the gap between the "haves" and "have-nots". People, who do not have the money, skills, and access to computers and networks, cannot use computers effectively. As a result, these patient populations (which would actually benefit the most from health information) are those who are the least likely to benefit from advances in information technology, unless political measures ensure equitable access for all. The digital divide currently runs between rural vs. urban populations, rich vs. poor, young vs. old, male vs. female people, and between neglected/rare vs. common diseases. 11. In addition, e-health should also be easy-to-use, entertaining, engaging, and exciting. eHealth (also written e-health) is a relatively recent term for healthcare practice which is supported by electronic processes and communication. The term is inconsistently used: some would argue it is interchangeable with health care informatics, while others use it in the narrower sense of healthcare practice using the Internet. o Telemedicine: includes all types of physical and psychological measurements that do not require a patient to travel to a specialist. When this service works, patients need to travel less to a specialist or conversely the specialist has a larger catchment area. o Evidence Based Medicine: entails a system that provides information on appropriate treatment under certain patient conditions. A healthcare professional can look up whether his/her diagnosis is in line with scientific research. The advantage is that the data can be kept up-to-date. o Consumer Health Informatics (or citizen-oriented information provision): both healthy individuals and patients want to be informed on medical topics. o Health knowledge management (or specialist-oriented information provision): e.g. in an overview of latest medical journals, best practice guidelines or epidemiological tracking. The growth of Internet applications in healthcare has been rapid. A growing number of patients are becoming increasingly involved in the healthcare service they receive. These 'power patients' possess characteristics that distinguish them from traditional patients and are an important factor in driving the use of the Internet in healthcare. "Power patients are a growing share of the population and healthcare organisations will need to meet their needs," notes Frost & Sullivan Industry Analyst Konstantinos Nikolopoulos. "Free choice of doctors, control over treatments received, access to quality information about their care and extremely high levels of customer service are some of the expectations of power patients." Besides, over the years, healthcare organisations have had to adapt to numerous changes, from advances in diagnostic and therapeutic procedures to the emergence of concepts such as managed care and telemedicine. The e-Health model represents another such change with far-reaching implications for healthcare organisations. In such a scenario, the Internet's capability to empower patients, support information exchange and thus result in new operational strategies, business and service delivery models can be very appealing although quite challenging. Moreover, public health policies and regulations greatly influence the way in which healthcare organisations can use the Internet. For instance, uncertainty over privacy and security regulations regarding the use of electronic health information can deter organisations from sharing health records or administrative and financial information across the Internet. "The transition to electronic healthcare and the use of the Internet to exchange health information raises serious security concerns," explains Nikolopoulos. "While the perception of the lack of security is inhibiting the use of the Internet for sharing clinical information, various technologies and procedures are being developed to deal with these security problems." The European Union is already enforcing strict medical data security standards and the North American market is also demanding improved security and confidentiality in healthcare transactions with the Health Insurance Portability and Accountability Act (HIPAA). In this scenario, all stakeholders will need to realise that in matters concerning security, privacy and confidentiality, ensuring 100 per cent absolute security and confidentiality is impossible. Instead, maintaining a good balance between actual or realistic needs, risks, costs and potential losses (including the impact on reputation), is essential. Until there is widespread consensus on such issues, security concerns will continue to inhibit the use of the Internet in healthcare. The Role of the Internet in Healthcare is part of the Healthcare & Life Sciences IT Growth Partnership Service, which also includes research on patient data safety in the European healthcare IT markets, the computerised physician order entry systems market, the electronic medical records market and the hospital information systems market in Europe. All research included in subscriptions provide detailed market opportunities and industry trends that have been evaluated following extensive interviews with market participants. Interviews with the press are available. Frost & Sullivan, a global growth consulting company, has been partnering with clients to support the development of innovative strategies for more than 40 years. The company's industry expertise integrates growth consulting, growth partnership services, and corporate management training to identify and develop opportunities. Frost & Sullivan serves an extensive clientele that includes Global 1000 companies, emerging companies, and the investment community by providing comprehensive industry coverage that reflects a unique global perspective and combines ongoing analysis of markets, technologies, econometrics, and demographics. For more information, visit http://www.frost.com. The not-for-profit organization Canada Health Infoway recently reported a 39 percent increase in electronic health initiatives that modernize the way clinicians deliver healthcare. From 2006-2007, Infoway approved investments of $518.9 million in EHR initiatives across Canada. Infoway’s complete plan for electronic health progress can be found in the report “2015: Advancing Canada's Next Generation of Health Care,” which outlines a road map for modernizing Canada's healthcare system and forms the strategic framework to guide future investments and priorities. All levels of government across Canada are experiencing similar pressures today to cut healthcare delivery costs while increasing patient safety and care. With this growth in managed care and capitation, eHealth Portals are quickly evolving to meet new and more complex requirements, with significant benefits to medicine and healthcare in general. As the practice of medicine is inherently dependent upon healthcare technology, the sustainability of our healthcare system depends, to an extent, on its ability to find ways to gain efficiencies and effectiveness in every aspect of our daily activity. Canadian Healthcare providers need to find ways to work smarter, not harder. Building the future is really about building the present. Whether an early-adopting visionary or a more cautious pragmatist, with the myriad of messaging from analysts, researchers, and pundits—concerns about implementing seemingly new or nascent eHealth Portal technologies is understandable. The sheer volume of new technologies coming to market only adds to the confusion and it’s a real challenge for most healthcare organizations to create a tactical plan to ensure that their IT capabilities support current and future objectives. To overcome these barriers and eliminate false starts, part of doing it right the first time requires an understanding of a.) the clear differences in the eHealth Portal solutions available in our Canadian market and b.) the new (transinstitutional model) horizontal architectures. When a healthcare organization sets out to extend a longitudinal ‘cradle-to-the-grave’ patient record (readily accessible via the Internet) linked to clinical protocols and guidelines—most people picture only one scenario. In this scenario, a user enters a query about a patient. That query goes to one source where all the patient information has been stored in a single “centralized” database (or vertical architecture.) The system searches that one database and returns the answer to the user. But information does not have to be accessed in this manner, as the patient data already resides somewhere in existing systems. Instead of duplicating that data in a new centralized system, the healthcare organization could leave the existing data in place. Then, when the user asks a question, the system gathers the appropriate patient data from wherever it is stored. This approach — leaving the data in place and retrieving it on demand — is called a “federated” database model (or horizontal architecture.) By definition, a federated database is a collection of data stored on multiple autonomous computing systems connected by a network that is intuitively presented to users as one integrated database. Years ago, the centralized approach represented the more attainable of two limited choices — even though a massive initial investment of time and money was required (to build, load, and integrate a centralized database coupled with the painful patchwork of disparate legacy systems, brokers, and related integration and maintenance problems.) A good example of this is Trillium Health Centre’s $100 million dollar, seven year initiative to integrate all patient information into a single record. However, advances in technology and new product capabilities have made the federated approach a far more practical and significantly more cost-efficient option. Compared to a centralized eHealth Portal built on a single “centralized” database (or vertical architecture,) a “federated” database (or horizontal architecture) can achieve equivalent or better results at a fraction of the cost and time. Given our Canadian healthcare funding reality — this is an option that more and more healthcare organizations are likely to choose. The real value: A fraction of the cost and time. Anyone who uses the Internet takes the delivery of content from multiple systems for granted. Almost every Web page on a major commercial site is assembled automatically from multiple sources. Click a button and data is retrieved from other databases and servers. Users may not be aware of this, but it goes on constantly. Federated databases operate by means of a similar principle, except that each data resource is defined by means of a database schema or view, and the user has much more power to access and manipulate the data. With the federated Portal approach, the economics are significantly different and can be extremely advantageous. You don't buy the massive database server (or related brokers) and you leave all your data where it is. You don't need to build systems to update the database, as the integrated database is virtual. It exists only in the form of the views presented to the users. When a user submits a request for data, the federated database system performs extraction, cleansing and transformation, and the equivalent of loading for only that data needed to satisfy the user's request. One of the greatest advantages of a distributed (federated) architecture is that it naturally lends itself to supporting a large variety of connected systems and guarantees the scalability of the portal system at the enterprise level. Moreover, a federated portal approach allows bandwidth, hardware, administration, and other infrastructure costs to be distributed over time, keeping pace with the development and deployment of the facility. This can significantly reduce networking and system-interfacing costs and opens up a number of added functional possibilities by extending data to the organization’s value chain delivering clear, tangible benefits for your short and long term needs. The use of eHealth Portals has gained significant traction as a cost-effective way to transform healthcare delivery. Whether physician, nurse, technician, or administrator, eHealth Portals offer a proven, quick and efficient way of accessing, sharing and organizing hospital information and patient records. Portals also extend process-integrated decision support and a clear stepping stone to a national electronic health record. However, what has become clear, is that all portals are not created equal. As a result, identifying the right portal approach and architectural model, is critical for healthcare delivery organizations to maximize tax dollars and return on investment. 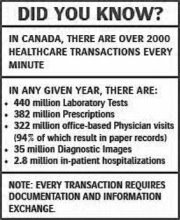 The changing face of Healthcare in Canada. Information technology has made a significant impact on the healthcare industry. Over the past decade, many hospitals have adopted technology to increase the efficiency and accuracy of their healthcare systems. However, with the growth of managed care and capitation, information systems are quickly evolving to meet new and more complex requirements. One does not have to look very far to see the fundamental changes that are occurring in the health care industry. Economic, social and many other drivers are forcing changes to the focus of health care. First and foremost, health care is becoming a more patient-driven industry. Over years to come, the healthcare system in most Canadian jurisdictions will not be able to sustain the increase in demand for service that it will face. The sustainability of the healthcare system depends, to an extent, on its ability to find ways to gain efficiencies and effectiveness in every aspect of its daily activity. There is a demonstrated understanding of the need to shift the focus of health care efforts from the management of illness to the maintenance or promotion of wellness. As a result, there is increased emphasis on the management of diseases for example, across the continuum of care and along the lifecycle of the disease. To support this, the industry is experiencing a significant shift in how clinical decision making occurs. Specifically, the “lone ranger” decision-making practices of the past are being replaced with truly collaborative, interdisciplinary, and evidence-based approaches. Decentralized and generalized care is becoming more centralized and specialized. Today’s hospitals are evolving toward a model that brings together all imperatives: clinical, administrative, financial, managerial, and human resources, in a way that concentrates on patient outcomes as the primary goal of the organization and the method by which other parameters, such as financial efficiency, are judged. In short, today’s savvy healthcare providers are evolving their information delivery platforms toward a more open, vendor-neutral, patient-centric environment that extends a single/unified patient view (EHR) across different jurisdictions and domain boundaries. o Reduce errors, cut and control costs, and improve the delivery (efficiency) of patient services. Note: Patient safety and effective healthcare can only be achieved with a robust, integrated information system. o Replace stand alone systems (best of breed.) Although they might work well in small hospitals and restricted departments, however, are incapable of scaling up. This puts a serious limitation on these systems as they become redundant in large set ups and thus have to be either replaced or abandoned. o Leverage latest technological advancements that allow a monolithic (enterprise-wide) platform to be completely integrated and provide customization at every level. Some of the earlier integrated hospital information systems were such that they did not offer the extent of customization that departments wanted. There were problems in scaling up and closing the gaps in integration. However, all of these issues have been overcome and the modern information delivery platform provides seamless enterprise integration. Note: On average, employing a single vendor, integrated, enterprise-wide informatics solution (versus a disparate, fragmented, silo’d model) has been benchmarked (based on analysis) to increase efficiencies by 30% minimally. As an aside, the elimination of redundant processes alone using today’s eHealth technologies, combined with the convenience of single sign-on, single patient search, secure eMessaging, and full access via wireless and mobile devices (within a PIPEDA/HIPPA-compliant privacy framework)---has proven, without exception, to dramatically improve outcomes and provide higher satisfaction to both patients and providers. Note: Never underestimate the importance of cost-efficiency as providing high-quality care at a lower cost yields savings that can be reinvested in other parts of the health care system. In this proposed “best-practice” patient-centric environment, all information follows the patient as they move through the system. Complete information is therefore available to all as needed along the continuum of care.